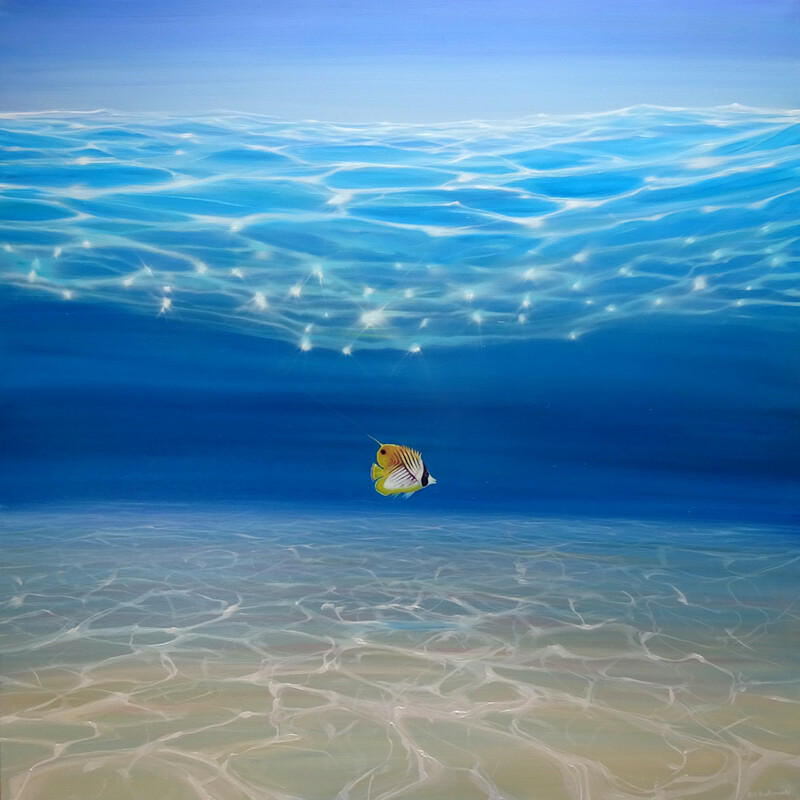 large original oil painting of a threadfin butterfly fish in a turquoise sea. You can see the surface of the water and some of the sky above the fish as well as the patterns that the sunlight makes on the waves and through the water and across the sandy sea bed. The little fish seems intent on going somewhere and is happy in his tropical turquoise world. This is another in a series of underwater ocean paintings I have made that were originally inspired by snorkling in Tobago. 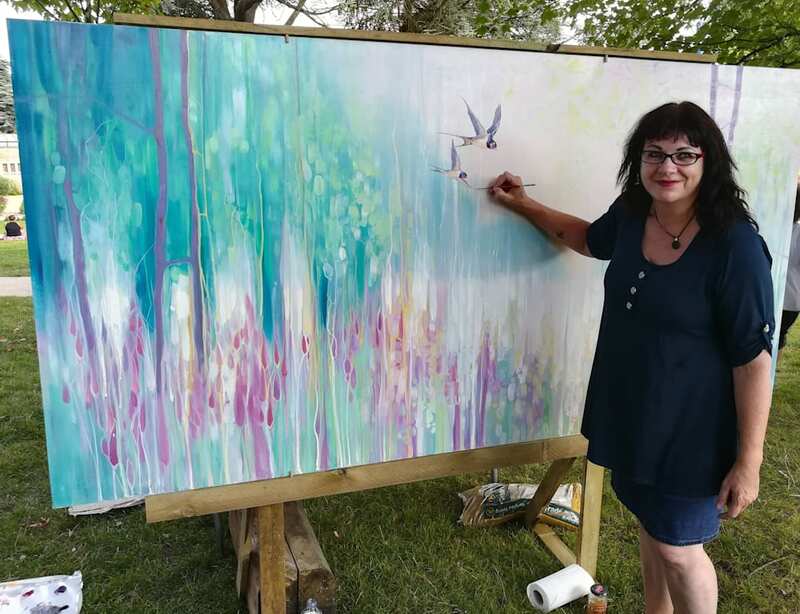 The painting is therapeutic as it give the viewer lots of space and hopefully a relaxed frame of mind.